Alright, back from a two-week break and ready to go. 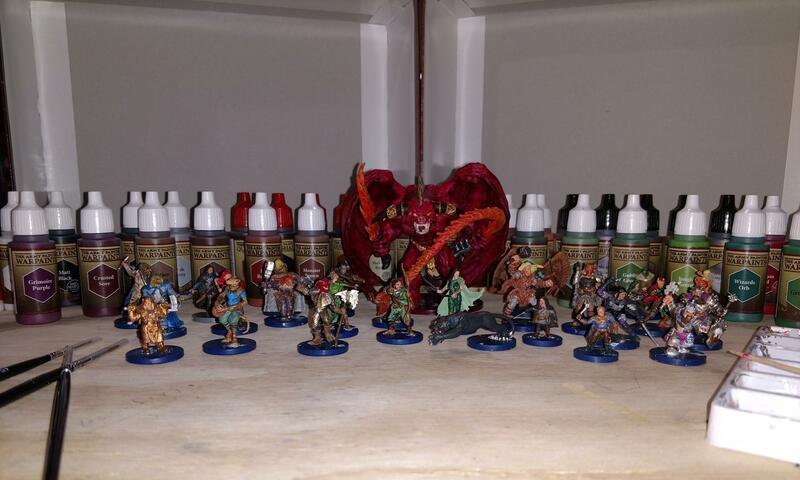 During the break, I spent a decent amount of time painting some miniature figures for a game I play. (Well, I still need to paint their bases and eyes, but that’s not my point here.) I was a bit nervous about painting them because I’d only ever painted five other minis before (for my D&D players). I wanted the minis to be amazing, but also knew that I had limited time for the break and a whole load to paint. For the most part, it was fun coloring tiny details on the figures, but there was one point where I got a bit worried. A fiery effect needed to be painted. I began with covering the area in orange. A very thinned-out red paint went on next, to get into the deep crevasses. And then it came time to highlight the flame with yellow. I’d learned about a process called dry-brushing, which helps in the procedure of highlighting, rather than tediously putting little touches of paint on specific spots. However, in previous attempts of doing this effect, I couldn’t get the paint to act correctly. I’d ended up wasting time and paint only to have to highlight in the more taxing method. But this particular figure was much larger than the other minis I’d been working on, and that meant that highlighting the way I had been would be more than tedious. It would probably end up taking a whole day just to highlight it. I had to try something else. I had to face the worry of wasting time. And so, I tried something close to dry-brushing, adding a miniscule amount of yellow paint on the brush and rubbing it quickly on small areas. The coloration spread around nicely, leaving an effect that I believe made the fire look more beautiful than I expected. Beauty came because I stopped worrying about failing. Worry does that to us. It causes us to not even think about attempting something. We settle for lesser things than the beauty that could be, all because we don’t want to fail. Don’t get me wrong, failure is always possible. 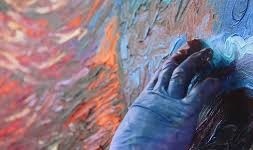 But if we worry so much about failure, then beauty beyond imagination will never have the opportunity to reveal itself. The miraculous lost as our worry makes us settle for the lesser. God has a plan that far exceeds anything we could ever imagine. But what often holds us back is worry. “I’ve tried that before and failed.” “I don’t know how to do this.” “I don’t have the time and resources needed.” And so many other excuses keep us from seeing the amazingly beautiful end result of just moving forward. Amazing stories of God spreading beauty across the canvas of our lives can be found in many places, but they stem from people who faced the worry and found the beauty of God’s work in their lives. Is there something that you know God is working in your heart, but worry has you captive? Some calling greater than what you’re settling for? When it comes to the work of God, his glory, his beauty, will always be the end result. Stop worrying about failing, it just means that you get another chance to discover the beauty.